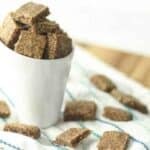 An easy to make keto flax seed crackers recipe with garlic parmesan flavor. 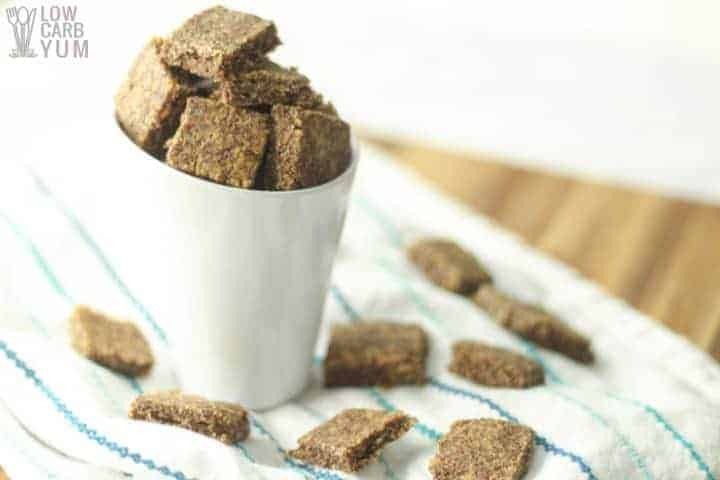 These simple low carb crackers are a great homemade snack. It’s a good idea to go through the pantry and determine what items have been sitting on the shelf for a while. I had stocked up on flax seed several months ago because there were a lot of low carb recipes in my pile that called for flax. Unfortunately, I haven’t had the time to try many of the recipes I’ve been saving. 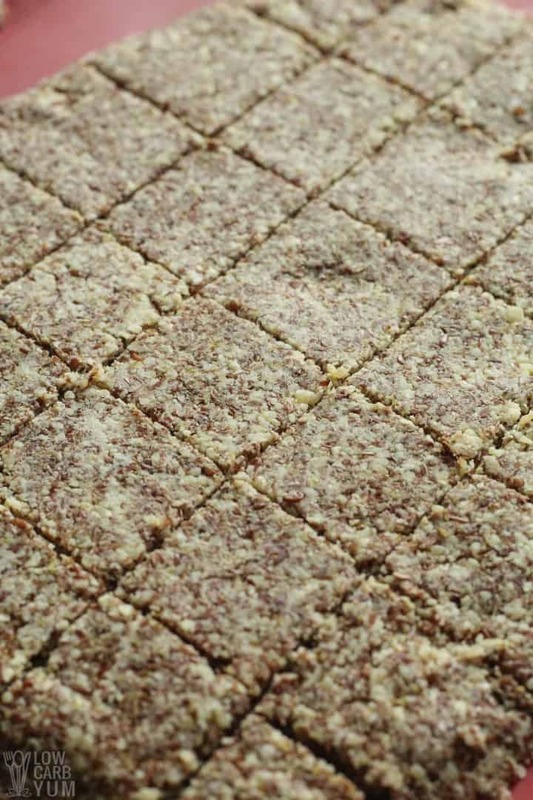 I’ve been wanting to try Laura Dolson’s Garlic Parmesan Flax Seed Cracker recipe. I was reminded when I saw a Cheddar Asiago Cheese Cracker recipe. Although those low carb crackers looked so much better than Laura’s, I didn’t have any Vermont Cheese Powder. And, I was looking to use up some flax meal. I may have to put in an order for that cheese powder very soon. Those cheddar asiago crackers looked so good and are high on my list of things to try. But in the meantime, I just used plain old parmesan cheese to make some low carb crackers. If you do an online search on the nutritional makeup of flax seeds, you might not consider them low carb. This is because a cup has almost 50 grams of carbs. However, most of the carbs are fiber so the net carb count is very low. In fact, one cup is a lot of flax. The recommended serving size is only one tablespoon. Therefore, a typical serving only has around 3 grams of carbs. And nearly all of those carbs are fiber! So the carbs in flaxseed are relatively low and the net carbs in one serving is pretty close to zero once you subtract the fiber. That’s why these nutritious seeds are commonly used in keto foods. Plus, they have added benefits of omega-3 fatty acids as well as being a good source of thiamin, magnesium, manganese, and copper! 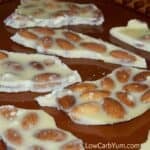 This was the first time I ever made homemade low carb crackers so I wasn’t sure what to expect. It was a lot easier than I had anticipated. 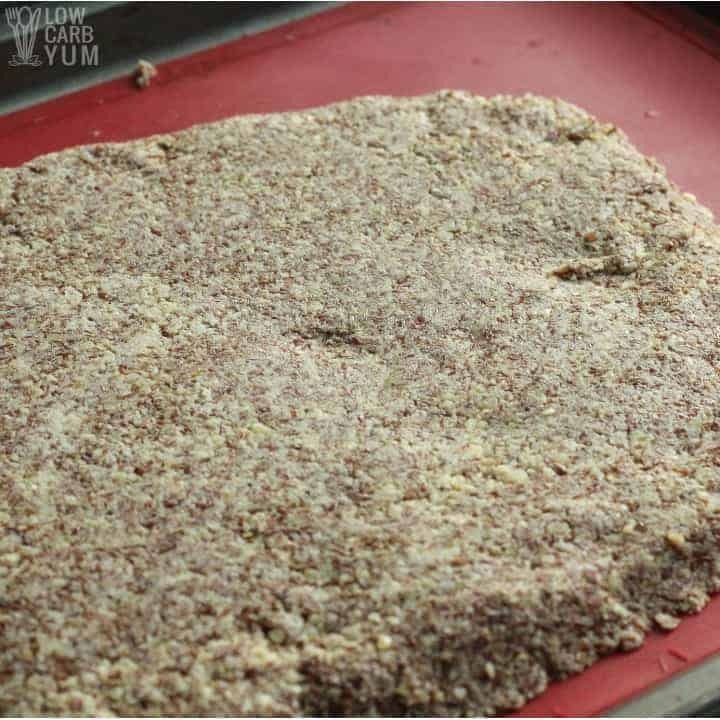 The process for making flax seed crackers is simple. You combine flaxseed meal, water, salt, and optional seasonings in a large bowl. For the proper consistency, the water amount can be adjusted as needed. Then, the dough is rolled out flat on either parchment paper or a silicone baking mat. I did have trouble getting the dough to roll out even and the crackers in the middle were noticeably thicker than those on the edges. If you like thin and crisp crackers, you’ll want to try and roll the dough out as thin and evenly as possible. You can use a toothpick to poke in the center to determine thickness. I used a pizza cutter wheel to slice the rolled out dough before putting it in the oven, but I should have made guide marks to get the crackers more uniform in size. These are things that I will work to correct the next time I make crackers. How many carbs in crackers? 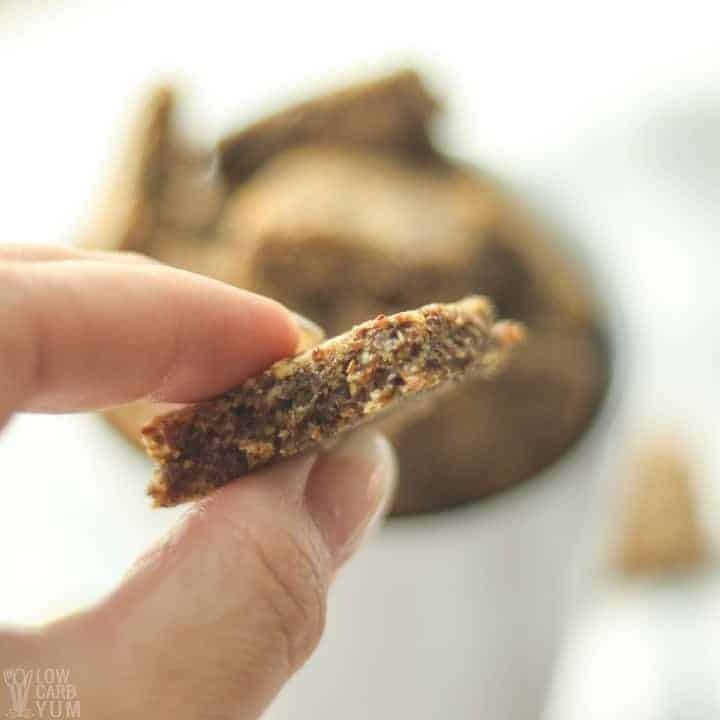 A generous serving of these flax crackers has only one gram net carbs. That’s because the flaxseed meal is nearly all fiber. 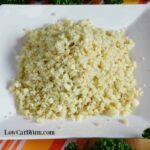 The parmesan cheese and garlic powder do add small amounts of carbs, but it’s not much. But, you could leave these flavors out and just season the crackers with salt. Herbs like rosemary can be added to change up the taste. Most seasonings don’t increase carb count significantly. But it’s a good idea to look up the carb count of any ingredient you decide to use. 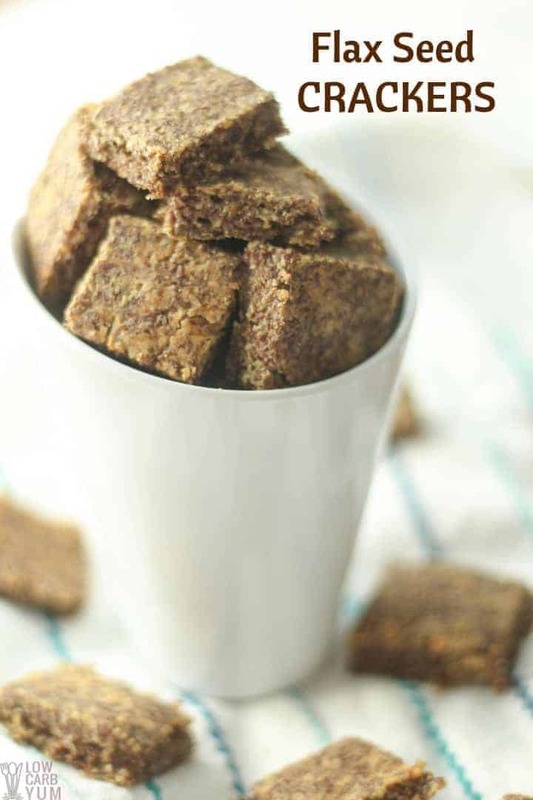 Why make your own flax crackers? 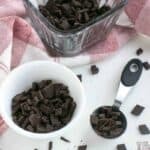 I’ve bought boxed low carb crackers in the past and they aren’t any better than this simple recipe. I don’t recall the price, but I’m sure it is cheaper to make them at home. 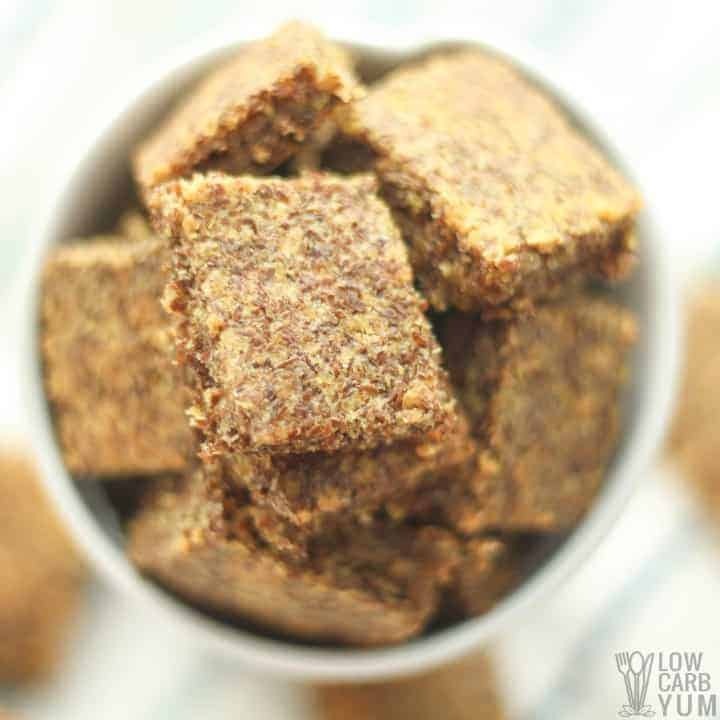 I’ve always liked having crunchy snacks and the added fiber in these flax crackers definitely makes it a healthy choice. I would like to make some crackers out of almond flour as it would provide a more neutral taste. 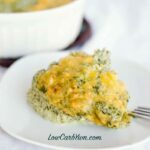 Maybe even make up a low carb version of Cheese-It crackers which my kids love. One day, I hope my whole family will convert to low carb eating as I’m trying to slowly covert them. These crackers go well served with cheese slices. Or, you can dip them in a warm crab dip for a special appetizer. 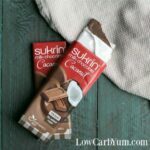 Enjoy this easy low carb snack! And be sure to let us know what you think in the comments. 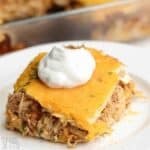 Easy to make keto crackers with flaxmeal and garlic parmesan flavor. 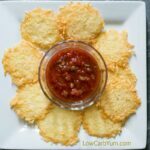 These simple low carb crackers are a great homemade snack. Roll out on a silicone mat or greased parchment paper to 1/8 inch thickness. Score with a sharp knife (careful not to cut silicone mat if using). Bake until the center is no longer soft, about 15-18 minutes. If it starts to get more than a little brown around the edges, remove from oven to prevent burning. Cool completely. Hi Lisa, I made these this morning but I’m confused. I ended up with 28 squares. I then imported your recipe using Myfitnesspal and matched the ingredients to my brands. Each cracker was coming up as 4.6 net carbs. That doesn’t seem right?? Your recipe is 4 servings but how many crackers did you end up with? It’s been a long time since making them, but I have had issues with MyFitnessPal in the past. You need to be very careful of the ingredients chosen as they are user inputted. 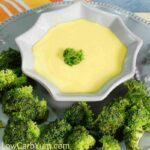 I believe this recipe was calculated directly from the ingredients used and the nutrition information on each ingredient was used. Some brands may differ slightly from others. However, this recipe is on my list of ones to redo so I’ll recalculate when I the post gets updated. Thanks Lisa, you were spot on with MFP….the garlic powder that automatically uploaded was 145.5g of carbs just for the 1/2tsp…..way off lol!!!! Problem solved. My hubby liked the flavor but I found it too intense. Is there anyway of cutting the flavor down??? Sounds like you’d be better subbing some of the flax with almond flour. 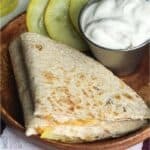 Just discovered your recipe, made it and love it! I added black sesame seeds, a little black pepper and 1 T of tomato paste to the recipe and they came out so good! I also had a little trouble getting the dough to roll out evenly, so I just placed one silpat on the bottom and one on top of the dough, and that eliminated all sticking :). 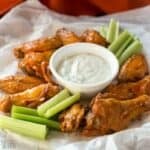 They’re crispy and delicious, great for snacking! Great idea to rollout using two silicone mats. And, nice flavor additions. Ive got to make these crackers again soon. It does help to put a piece of wax or parchment paper over before rolling out on the non-stick mat. If it’s really sticky, you may need a little more flax meal. Sounds good! I’d like to try it sometime. I do have a question though. Did the crackers stay fresh and crisp after a day or two? These crackers stayed crisp for a few days in a covered glass dish until I ate them all.